← Muscle activation – Are muscles simply reactors to bone and joint motion? 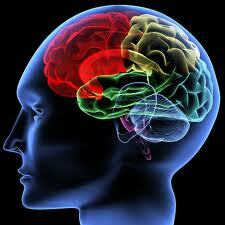 The brain and its role in movement and pain is taking a much larger role in what we do at Cor-kinetic. Rather than just seeing the body as feeding back to the brain on a mechanical level we are starting to understand the brains active role in everything we do. In this series of 3 blog posts we want to give a little insight into the way that we see the brain working on a conceptual level at Cor-Kinetic. It must be stressed this is not a scientific paper or evidence based research. Instead it is more of a paradigm about the way it may work on a global level and our opinion of this. This model of the brain and the way that it stores patterns, recalls them, matches them with feedback and finally predicts an outcome forms the basis of what we do. It guides our assessments, techniques and movement coaching. In fact the prediction may not always be the one we want or expect, especially in the case of pain. It may even be the anticipation or contemplation of a neural pattern can cause a poor movement or pain based prediction without any feedback from the body needed. Over the next few weeks we shall publish one blog for each part of the model. These blogs are going to be pretty conceptual and based on the learning into the brain that we have done up to this point and our interpretation of how this may then fit into a useable but mainly theoretical model! We can guarantee that some will agree and some not. One of the underpinning concepts behind how the brain works is that the brain is a pattern recogniser. It auto-associates stored neural patterns within the brain with the patterns that it experiences constantly during our interaction with the world. These neural patterns are a collection of neurons that fire when we see certain things or move in certain ways or even feel emotions. These neural patterns form the basis of who we are and what we do based on what we have experienced. These stored patterns allow us to subconsciously perform everyday tasks or sit up and take notice when encountering new and novel patterns that are out of our ordinary, or expected experiences ascend up the cortical hierarchy. These novel patterns can end in frustration when attempting to learn a new skill (or un-stored pattern) for example. In fact it may be we have patterns that fire in anticipation of a sensory event rather than as a reaction. This truly is the definition of prediction and may be heavily associated with the pain response as we will discuss in a later blog. As these collection of neurons fire together the synaptic connections get stronger. The famous neuroscience quote goes “neurons that fire together, wire together” This concept is derived from Hebbian theory, named after Canadian neuropsychologist Donald Hebb. These neurons can be movement based or vision based or taste, smell you name it. In fact all these sensory elements may fire at the same time to create a neuronal ‘signature’. Ronald Melzack coined the phrase ‘the neuromatrix’ to describe the spatial distribution and synaptic connections neuroplastically shaped by sensory input during our lifetime. Melzack talks about a ‘neurosignature’ imparted on all nerve impulse patterns that flow through our particular ‘neuromatrix’. We also have smaller neural ‘signatures’ or patterns for specific events such as movement, speech etc. Lorimer Moseley describes these patterns as ‘neurotags’ Many neurons are associated with more than one pattern or ‘tag’. This means that if the member cells of a ‘neurotag’ are also associated with a pain response then when these member cells fire in response to another ‘neurotag’ then they can also trigger a pain response in the other pattern or ‘tag’. One of Moseley’s specialties is back pain. His concept (or my interpretation!) is that neurons involved with your back pain may also be involved in thinking about back pain, therefore the thought of back pain or even the back also triggers the pain even in lieu of movement. We also know that visualizing a movement pattern also causes the same pattern of neurons to fire in the brain as the actual movement so we can start to see the interconnectedness on a neural level. It may also be that these neural ‘signatures’ or patterns are emotional or behavioral in nature. Negative thinking is even a pattern, this becomes a problem when it is the predominant pattern the brain uses when dealing with emotion or situations it is interpreting. It could explain why we hold and retain emotions and views such as prejudice. Jeff Hawkins in his book “On intelligence” talks about this auto association of patterns being because the brain, specifically the cerebral or as Hawkins describes it the‘neo’ cortex, and its neurons are actually pretty slow compared to transistors. 200 calculations per second perhaps rather than the billion that a computer can do. Computers work by carrying out a constant stream of calculations such set out by the forerunner of the CPU the original Turing machines of the great English mathematician Alan Turing. He figures heavily in one of my favourite books, the epic Cryptanomicon by Neal Stephenson. 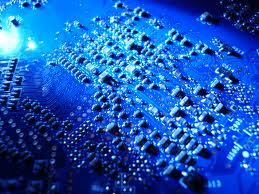 It may take millions of calculations to perform a task if we were to calculate all the variables all the time. Instead of this the brain is able to auto associate a stored pattern from memory, created over years of practice, to perform the task. This evolution of a pattern through countless repetition allows it to be good or bad. In fact we even have another mechanism called invariant representation to deal with the minute variations in patterns from the stored ones that we hold to deal with the enormous amount of variation the world is constantly throwing at us. As we develop we learn a vocabulary of movement. If I throw my son a ball at the age of 15 months it will just bounce off him (as it does regularly). He has not developed the neural patterns involved with recognizing an approaching ball, the concept of catching it or the associated motor patterns to perform this skill. As he learns this he will refine the skill of catching until he can effortlessly pluck the ball from the air without any need for conscious thought. This is pretty much how we learn and perform all motor skills. Auto associating them with previous stored memories and refining them through repetition. Mirror neurons are vital for learning of new patterns especially in the young. We often learn through imitation of our parents and those around us. I feel this has huge ramifications for how we teach movement. 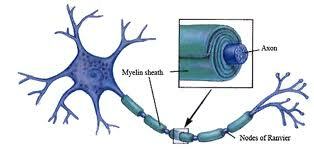 In fact the more we use a neural circuit the more white matter (mixture of fat and protein) called myeline encase the axons that connect the neurons involved. This insulates the axon allowing impulses to travel much quicker, up to 100 times quicker, than uninsulated fibres. Coupled with this increased signal velocity we also see decreased refractory time (the waiting time between one signal and next) so the ability of the brain soars at a particular skill in the face of practice and reinforcement. We see this in the proposed 10,000hr rule for expertise. So these patterns become literally etched into our brain. A good example of this is some of the simple study’s that have been carried out on the reaction times of sportsmen. In one case the best table tennis player in the squad had by far the worst reactions of any player and even the team manager when his reactions were tested away from the skill of table tennis. What he did have however was more experience and this means that he had better stored and refined patterns. He did not react to the ball better but his movement vocabulary was larger and he had recognized the pattern of the ball so many times he knew where to put his bat and which motor pattern to recall quicker than those around him. In sport the reaction times can be minute, is this pattern recognition and recall rather than the reaction or computation the key to success? So what is invariance? Well within a computer we see 100% accuracy, complete fidelity. A computer would recognize a set pattern and store it that way. In fact discrepancies cause serious problems within computers. A byte corrupted or out-of-place can wreak havoc in the digital domain. Our world is beset by variation, we constantly see the same faces in an ever-changing context such as lighting for example. Experiments have shown computers to struggle with this scenario. To a computer this variation in pixels would mean it would struggle to associate it with the stored pattern. This means you would never recognize the pretty girl you met in the bar in the street, if serendipity were to play its hand favorably. I maybe thrown a tennis ball or a football or even a pair of socks rolled up as a ball and have to use the same stored catch pattern but in a different context and with slight variations. The concept and invariant representation of ball and catch is stable even though the physical scenario or object changes. The same would be true of table tennis. The angle, trajectory, velocity and spin may all be different but we still hit the ball through the recall of a motor pattern, just slightly differently according to the variation in the balls movement. This ability to store important relationships and patterns independent of detail is hugely important. The same pattern of neurons will fire in the visual areas of the cortex when you look at your friend regardless of the context or lighting you are in. 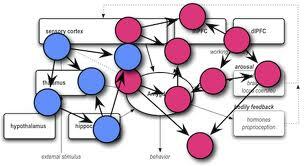 Our movement is one of the areas that the feeds the brain with specific patterns. Equally our movement is influenced by the patterns that we hold within our brain influenced by many other parts of the ‘neuromatrix’. In my humble opinion the actual movement of bones on a biomechanical level is less important than the neural feedback pattern from the afferent tissues this bone motion creates to match with and create a prediction from at a central level. More important are assessments to find out why the brain efferently restricts movement of the tissues it controls and which biomechanical or non biomechanical patterns (E.g. vision, vestibular or previous pain) and subsequent protective prediction this may arise from. So what does this all mean on a practical level? Well if you want to assess the brain and bodies reaction to a particular pattern then you have to in some way feed into the auto-associated pattern involved. On a movement level are the patterns of movement that cause a triggering of the neurons involved in specific movement interactions and possibly pain authentic. You can only assess the response by coming close to what auto associates the pattern even taking into account invariant representation in my opinion. Does bed based assessment of movement for example allow us to assess the brains prediction to a movement situation without the specific perception of the neural ‘signature’ or pattern required from the feedback mechanism? The reduced information from say the vestibular and proprioceptive systems in the absence of gravity may be very likely to change the pattern. This could me that pain is reduced because the pattern has changed but will come back again when having to deal with the original pattern. This is something we see a lot of with traditional bed based therapy’s that temporarily relieve pain. Are the pain patterns or signature driven at a higher level of pre-motor planning for example or a sensory mismatch of the systems above spinal cord level that integrate in the cerebellum? Have we assessed these as well as just the passive motion of bones, joints and soft tissue? Understanding neural patterns helps us to understand why movement skill is such a highly specific process that takes countless repetitions to perfect in terms of invariant association to a skill situation and a successful and consistent response. In part 2 we will look at Perception and how the brain uses feedback from the somatosensory systems including proprioceptive, visual and vestibular to help turn the stored pattern into an actual prediction of what is going to happen. How this feedback maybe centrally processed in a problematic way such as during central sensitivity and how pain can influence the sensory and motor cortex to rewire through neuroplasticity and change the way we feel and our subsequent motor control and movement. This entry was posted in Uncategorized and tagged AFS, applied functional science, Ben Cormack, ben cormack blog, ben cormack cor-kinetic, brain, Cor-kinetic, corkinetic physio, fms, function, functional assessment, functional fitness, Functional movement screen, functional physio, Functional training, gary gray, gray institute, lorimer moseley, melzack, muscle firing, muscle firing patterns, muscle function, myelin, neuromatrix, neuroplasticity, neuroscience, neurosignature, neurotag, pain, pain science, personal training CPD, personal training se london, personal training w1w, personal training., ptonthenet. Bookmark the permalink. 1 Response to The brain, movement and pain! Part one.